I know a lot of travelers who depended on video calls to be with their families this Christmas. It’s hard to believe, but video calls are easy now. Sometimes even easier than making regular phone calls. 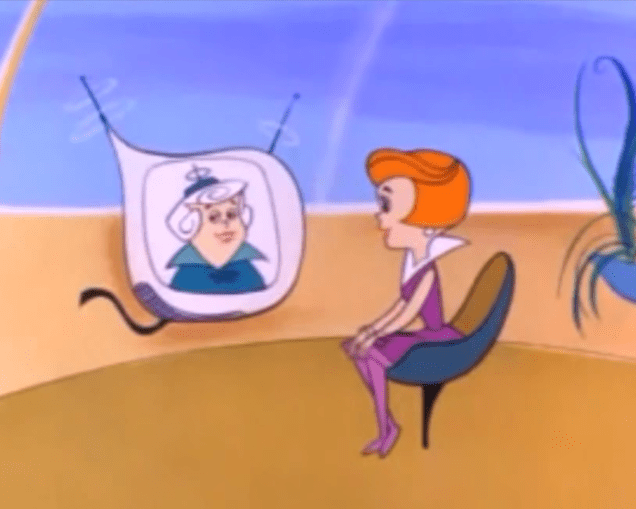 For those of us who grew up watching the Jetsons, it took nearly 40 years, but video calls have finally arrived. Using any of the Apps below, making a video call is as simple as opening the App and tapping the icon for the person you want to reach and tapping the video button. And … this is free to anywhere in the world as long as the person on the other end is also using an App with an Internet aka “Data” connection and not a phone with a voice connection. Facetime is an Apple thing. It comes pre-installed on all iPhones and iPads. It can only call other iPhones, iPads and Macs. So this won’t work to call your family if they have Android or Windows devices. But, if the person you want to call also has an Apple device, this is drop-dead easy! It uses your AppleID for identification, this must be set up on your device and the person you’re calling must have it set up on theirs. But, this is usually done even before you walk out of the store with your new iPhone or iPad – it’s not a big deal! Now, you just open the Facetime App and tap the person’s name who you want to call, then tap the icon of the video camera. If the person isn’t in your contact list, you can just enter their AppleID email address, or their phone number – if it is an iPhone. Notice that there is also an icon of a phone in addition to the video camera. So, if you don’t feel like getting dressed, or combing you hair, you can just make a voice call this way. Most people have heard of Skype because it’s been around since before smartphones. 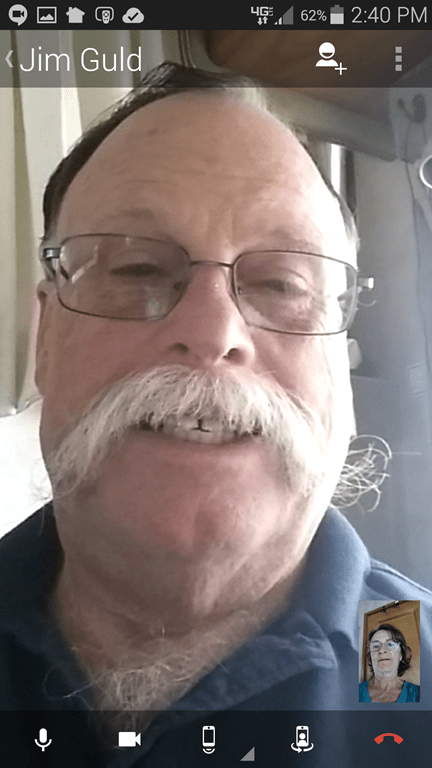 You can make a free video call to anyone in the world if both of you have the Skype software installed on your computer or mobile device and you have a good Internet connection. It is available as a free App for Apple, Android, and Microsoft phones and tablets. Skype is now owned by Microsoft, so you can set it up with your Microsoft account or you can just set up an account directly thru Skype. Many people have been using Skype for years before Microsoft bought it and they can continue to use the same account. In the screenshot at right you can see that it works very similar to Facetime, you select the person you want to call and then just tap the video icon at the bottom. Notice there is also a phone icon if you want to talk without the video. 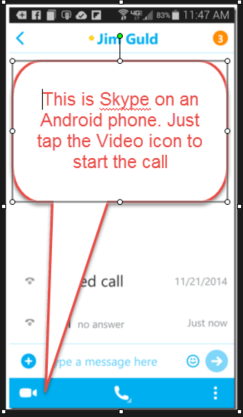 Skype also keeps adding features. In addition to one-on-one video calls, you can also use Skype for Group video calls, Instant messaging, Screen sharing and file sharing. Google isn’t going to sit on the sidelines when Apple and Microsoft give you ways to make video calls! Their system is called Google Hangouts and it is also available for free on Computer, Android, and Apple devices. For this to work easily, you both need a Google Account set up on the device you’re going to use and have the Hangout App installed. Then you tap the Hangouts icon and either tap a contact or enter a name, email, or phone number. You should then see both a video icon and a phone icon at the top. Tap the video and it should call the person and wait for them to tap the green answer button. Voila! You’re talking and seeing them. Hangouts also makes it very easy to make the call to up to 10 people. Whoever answers is in the call. I know people who have a weekly scheduled chat with their family members who are spread all across the world. What is Hangouts On Air? Take a video call Hangout with up to 10 people, broadcast it live over the web where hundreds or even thousands of people can watch it live, automatically record it as Youtube video, and you have Hangouts on Air. In essence it gives any enterprising person an Internet based TV show … for free! Amazing stuff. This is the technology we (Geeks on Tour) are using to deliver our weekly show teaching smartphones and tablets. Check it out. It’s called What Does This Button Do? Yes and No. 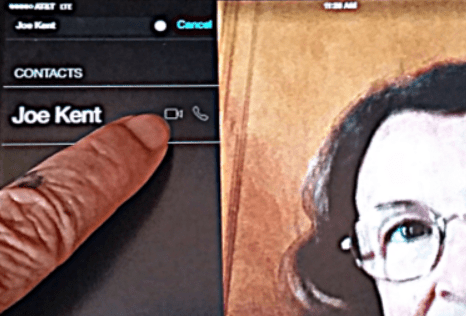 With Apple Facetime – Yes! With Skype and Hangouts the hardest part is simply making the first connection. Getting the App set up correctly and getting the appropriate email or phone number for the person you’re calling. Once you’ve made the first connection and the person is in your contact list with the correct credentials, then it should be a snap any time you want to call. It’s important to realize that your Internet connection is critical. If it’s not fast enough, or it cuts out, you will have trouble putting your call thru and keeping it. Etiquette usually requires that you send a text message to your contact, or otherwise have some way for them to be expecting your video call. That way they don’t have to scramble to dress, comb their hair etc. The future is here! 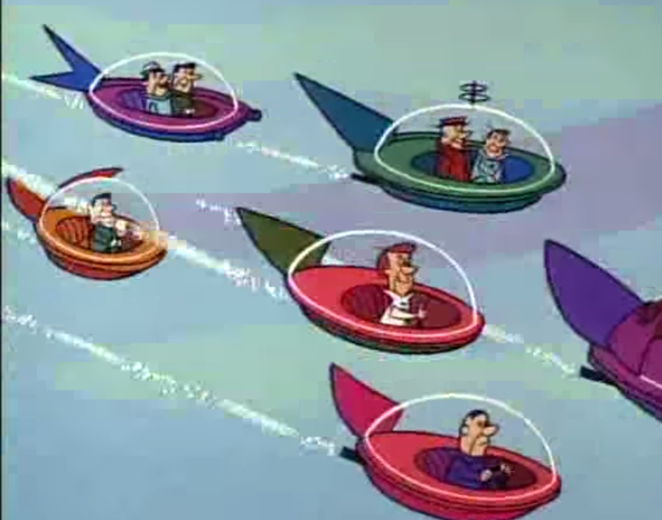 Now where are the flying cars we were promised?? Published by MrsGeek, in Blog. Tagged with #GeeksWhoTeach, Android, Apps for Travelers, Facetime, Hangouts, iPad, iPhone, Skype, Smartphones, Video Calls.